The Dorian mode is sometimes used in jazz-influenced music as a blanket scale when soloing. Miles Davis’ ‘So What’, Van Morrison’s ‘Moondance’ and Stevie Wonder’s – ‘I Wish‘ all call the Dorian mode home. So does ‘Scarborough Fair‘ and ‘Mad World‘. Should you use the technique of playing a new scale every time the chord changes, you would use the Dorian mode every time you solo over chord II. 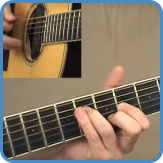 To learn to play the Dorian mode you must first practice each shape individually (see first five videos above), then connect the five shapes. In the step by step guitar courses, we dive deep and find many variations when practicing Dorian. For example, as you work your way through all five shapes, you’ll play them in every key and even vary the rhythm of the exercises. This exercise connects the Dorian shapes in Am, when you can do this, try all other key and push that BPM! Also, you wanna find variations to this exercise. What rhythmical pattern are you working on when practicing the chromatic exercises at the moment, can you use them instead of the triplets? Pairing exercises like this is a great idea, in the advanced step by step course, we synchronize your entire practice routine like this. 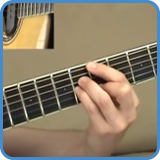 When you can do it in A as the video demonstrate, try it in D, G, C, F, and all other keys. This exercise takes the Dorian mode and runs it through the cycle of 4th, always moving to the closest shape possible. Make sure your transitions are exactly as in the video lesson. A Dorian – E shape, D Dorian – A shape, G Dorian – D shape, C Dorian – G shape, F Dorian – C shape. This then starts one fret up, on a Bb. Watch the video lesson for a demonstration.